Application space: living room, bedroom, restaurant, cafe, hotel, exhibition hall, meeting room, studio, school etc. 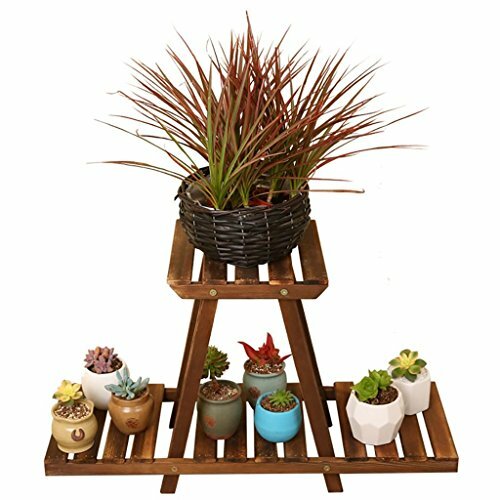 The perfect plant station for gardeners, this is an elegant home decor. The bonsai display stand is made of wood and the material itself is corrosion resistant and insect resistant. Strong carrying capacity. Simple assembly: including assembly materials and instructions - Assembly can be done in a few simple steps! Items placed on shelves are props that are not for sale. If you have any questions about this product by JHZWHJ, contact us by completing and submitting the form below. If you are looking for a specif part number, please include it with your message.